Nivea's newest skincare addition to their impressive lineup of products, is their 'Powder Touch' deodorant; an extremely gentle deodorant which dries instantly and leaves no residue behind- yet offers an amazing 48 hours of protection (should you ever need your deodorant to last that long!) I've raved about so many NIVEA products in the past- most recently their micellar water- and am always interested to find out more about their new releases. While deodorant isn't a particularly well discussed product, there's no denying it's an essential part of everyone's routine. When we spend time carefully selecting the other products in our skincare routine, why would deodorant be any different? It's something you're going to be using every day-even on lazy, no makeup days. Choosing a trusted brand like Nivea means you know that it will not only leave the skin silky soft but keep you feeling dry all day long too. I think we've all probably experienced an overly harsh deodorant at one time or another and it's just not fun (especially on freshly shaved skin- ouch!) and not only does it feel horrible but can also leave the skin looking red and inflamed. Even if you don't have sensitive skin, it's well worth choosing something that's not going to be physically unpleasant to use every morning and will actually do your skin some good. Knowing that your underarms look soft and smooth is definitely a confidence boost when you're wearing your strappy summer tops and dresses! Nivea's Powder Touch deodorant dries on the skin quickly too, so there's no worry about marking your clothes or waiting around for a sticky product to dry. 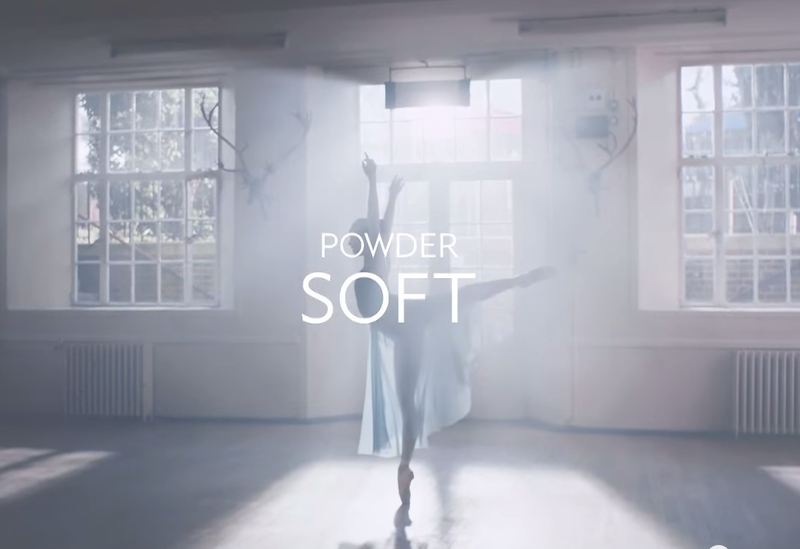 The video for this product is just beautiful and perfectly highlights the balance we need from a product like this- while we might not all be prima ballerinas (me leaping around in ballet shoes would not be a pretty sight, I am the least elegant person ever) the ballerina speaks of wanting to be feminine while still being tough, which I'm sure is something we can all get on board with. One of the best things about the Powder Touch range is that it comes in three different formats, a creme stick, a roll on and a spray. We all have our preferences about the type of format we like best in a deodorant, and so it's great that they have catered for everyone. Nivea products are well renowned for their amazing skincare benefits, and so it's no surprise that 9 out of 10 women surveyed loved this product. What's your favourite product by Nivea? This sounds interesting, I'm always looking for a deodorant that doesn't leave annoying white marks, might have to give this a try! *Sniff sniff* Another Nivea product that we probably will never get here. Thankfully, the world isn't so large anymore, and online ordering exists!